The vehicle-to-vehicle communications system works well only if enough vehicles participate. But how to get more cars outfitted with transponders? 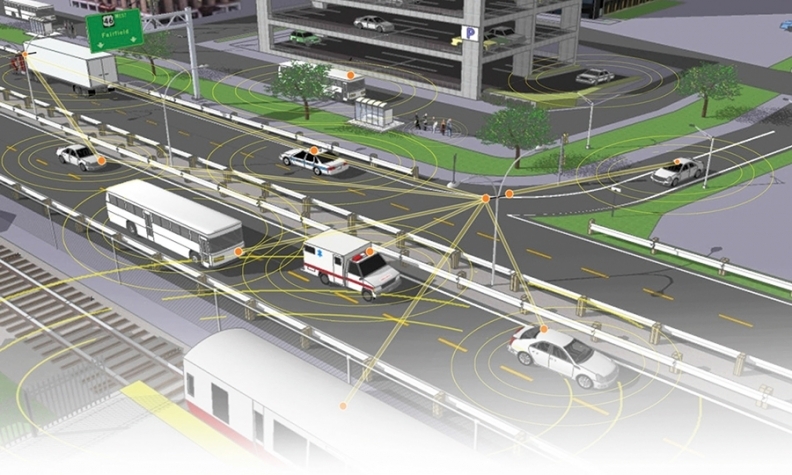 DETROIT -- Vehicle-to-vehicle communications, which allows vehicles to signal their locations to one another and possibly avert collisions, is starting to look like the auto industry's version of a Catch-22. The system works well only if enough vehicles are equipped with transponders to broadcast their locations. But motorists won't necessarily want to pay for the equipment until they're sure that the system works well. Federal regulators and automakers are taking small steps to try to resolve that conundrum. Cadillac says it will equip its 2017 CTS sedan with V2V technology, and the National Highway Traffic Safety Administration announced plans this month to propose a V2V mandate by the end of the year. Meanwhile, technology companies are working to perfect the system to reduce the risk of mixed signals. But to achieve a significant reduction in accident rates, 25 to 30 percent of vehicles on the road would have to be equipped, says analyst Egil Juliussen of consulting firm IHS Automotive. If NHTSA were to mandate V2V devices for all new vehicles, it would take five years to reach a 30 percent penetration rate, Juliussen says. And even then, what about all the cars already on the road? David Acton, an entrepreneur based in Troy, Mich., near Detroit, is trying to break the deadlock, but his efforts illustrate the challenges ahead. Acton, formerly chief vehicle engineer at General Motors' OnStar division, is developing an aftermarket transceiver that could be installed in a vehicle to broadcast its location and receive signals from other vehicles. The system also could receive transmissions from "smart" stoplights equipped with transponders, an example of so-called vehicle-to-infrastructure communications. That would allow the driver to adjust his or her speed to make all the green lights -- a benefit that's perhaps easier to demonstrate and sell to consumers in the near term than accident prevention. But to provide that benefit, Acton must persuade municipalities to install transponders on their traffic signals. He tested his concept in 2010, when officials in Owosso, Mich., installed a transponder on a stoplight. A group of motorists outfitted their vehicles with transceivers, which read the stoplight within 1,000 yards. The equipment worked properly during the field test, Acton said. Now, he's pitching the benefits of "smart" stoplights to various municipalities. Once a city agrees to install them, Acton says he would pitch aftermarket transceivers to residents. Many bigger hurdles have yet to be worked out. For example, how would an aftermarket transceiver communicate the locations of other vehicles to the driver? By a beep? With a Siri-style voice message? Or with a visual cue on the console screen? And how would it sync with the motley assortment of information displays and interfaces on existing vehicles, only some of which have console screens and voice technology? Despite those unanswered questions, V2V technology has attracted some powerful backers. In 2012, the University of Michigan Transportation Research Institute launched a two-year road test of 3,000 vehicles, most of which were retrofitted with transponders. They successfully transmitted their locations to other cars and trucks, and now the institute is preparing a second test using 9,000 vehicles. The institute also formed a 13-member research consortium that includes five automakers plus Robert Bosch GmbH, Delphi Automotive and Denso Corp.
Will one of those mega suppliers develop V2V hardware for the aftermarket as a way to speed its adoption? Delphi says it isn't, and Denso had no immediate comment. Bosch spokeswoman Linda Beckmeyer says the company is thinking about it. "While we have nothing specific to announce, Bosch is keenly aware of this concept and the potential it offers," Beckmeyer said. In the meantime, Acton is happy to lay claim to the aftermarket niche. "Someone is going to do this," he said. "Why not us?"